An average house with 4 people flush the toilet around 7,300 times per year (about 30% of the total water used in a household) and, according to the Guardian, the average Briton uses 50 toilet rolls each year. EcoFrenzy shows you how to help the environment by minimising the amount of water and toilet tissue you use every day. Recycled toilet tissue has the potential to save a lot of trees. 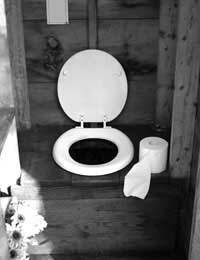 ​Each European uses 13kg of toilet tissue per year, equivalent to around 22 billion rolls. 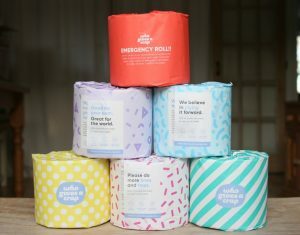 To reduce the wood required to produce toilet rolls, some manufacturers are including small amounts of alternative plant fibres such as bamboo, cotton, hemp, wheat and sugar cane in their products. Producing recycled paper uses 28% – 70% less energy than making virgin paper and uses less water. For every tonne of paper used for recycling, the savings are at least 30,000 litres of water, 3,000 to 4,000 kWh electricity (enough for an average three-bedroom house for one year) and up to 95% less air pollutants. Composting toilets treat human waste by using biological processes to turn it into organic compost material that can be used to fertilise soil. They are small-scale, complete waste processing systems that are surprisingly easy to maintain, incredibly efficient, and use little or no water. A bin is the best place for all un-flushable waste. 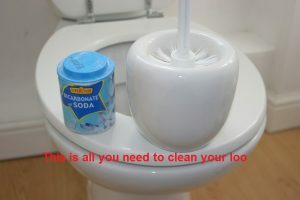 Put wet wipes, cotton wool, floss and cotton buds in the bin. Use bags or toilet paper to discreetly dispose of waste sanitary products – again, in the bin. Put a bin beside the loo so nobody’s tempted to flush these items. The three P’s, pee, poo and (toilet) paper are the only things that should be flushed down the toilet. 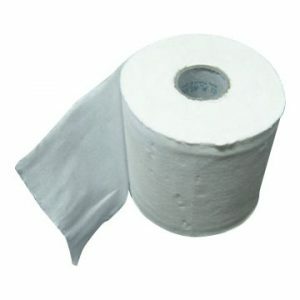 Most commercial toilet tissue is made using harsh chemicals such as chlorine bleach. All patterned and scented tissues contain chemical fragrances, lotions and dyes which can adversely affect the tissue’s ability to biodegrade. Putting rubbish that belongs in the bin down sinks and toilets causes blockages in pumps and pipes. When this happens, sewage can back up into your home, cause bad smells and overflow into rivers, causing pollution and harming wildlife. 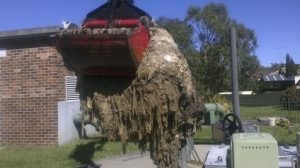 The increase in waste wet wipes is compounding another big headache for Thames Water – fatty food. Fat can be poured down the plughole when warm but sets into hard ‘fatbergs’ when it cools down in the sewers. Wipes then stick to the congealed fat causing more serious blockages.